2. Have a nice home - and Norman got a new Sport coupe last week - so we get to take many nice trips out sight-seeing. 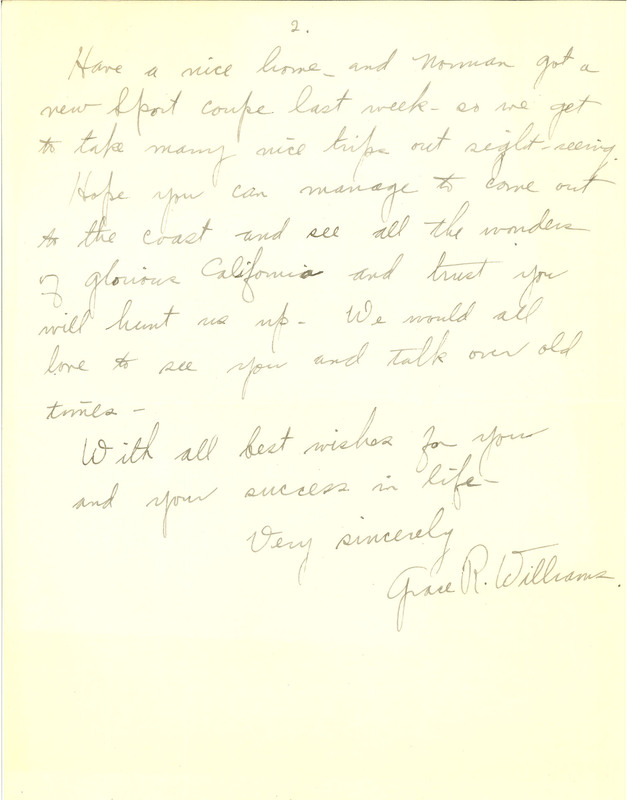 Hope you can manage to come out to the coast and see all the wonders of glorious California and trust you will hunt us up - We would all love to see you and talk over old times - With all best wishes for you and your success in life - Very sincerely Grace R. Williams.